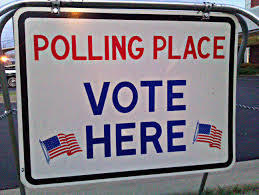 The polling place for Precinct 700102 has been changed for the APRIL 2nd 2019 Municipal Election Only. Sierra Martinez, Secretary of the Texas County Election Board, announced today. Voters in the precinct formerly voted at Church of Jesus Christ Latter day Saints. Beginning with the Municipal Election scheduled April 2, the polling place for Precinct 700102 will be at OSU Extension Office 301 N Main St. right next to the election board. After this election they will start looking for a permanent location for this precinct and as soon as they find one they will send letters out to all the voters in this precinct. Sorry for last minute notice we also received last minute notice about the move.